Call 717-823-7284 for your tax help! 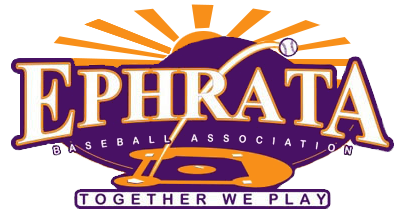 The Ephrata Baseball Association is a well-established baseball organization that has been serving the youth of Ephrata and surrounding areas for many years. EBA provides youth ages 5 to 19 the opportunity to enhance their baseball skills and play a more competitive level of baseball, while also learning management skills and life lessons. Many families within our organization are middle to lower income level and our sponsorship funds are used to provide grants for the registration fees for those that apply. In addition, these funds are used to offset registration costs to all players, provide uniforms, insurance, equipment, training, field maintenance and league registration fees. We are asking prospective sponsors if they would be interested in a Team or Friends of Ephrata Baseball Sponsorship. Home Run - Team Sponsorship - $500.00+ – This Team Sponsorship offers the opportunity to advertise your company’s name on the back of two teams’ jerseys and on the EBA web site with your company’s name, logo and a direct link to your site and two Facebook posts! Triple - Team Sponsorship - up to $500.00 - Advertise your company’s name on the back of a team’s jersey , EBA web site with your company’s name, logo and a direct link to your site, and one free Facebook post. Double – Friends of Ephrata Baseball Sponsorship - Up to $299.00 – Advertise your company's name on our website with a link to your website and one Facebook post advertising your business. Single – Friends of Ephrata Baseball Sponsorship - Up to $100.00 –Your name or company name/logo will be displayed on our website. Event Sponsorships or other options are available. Please contact us! Please make checks payable to “EBA” and include with the completed sponsorship form to PO Box 663, Ephrata PA 17522. EBA is recognized as a Tax Exempt organization under section 501(c) (3) of the Internal Revenue Code, qualifying EBA to receive tax-deductible bequests, transfers or gifts. A donation thank you letter is mailed upon receipt. This donation may be tax deductible, (contact your tax advisor or financial representative for specific advice regarding taxable deductions and your particular situation).